July 16, 1933: “The Gumm Sisters” were auditioned in their home on Cedar Street in Lancaster, California, by the RKO vaudeville circuit booking agents King and Winkler. 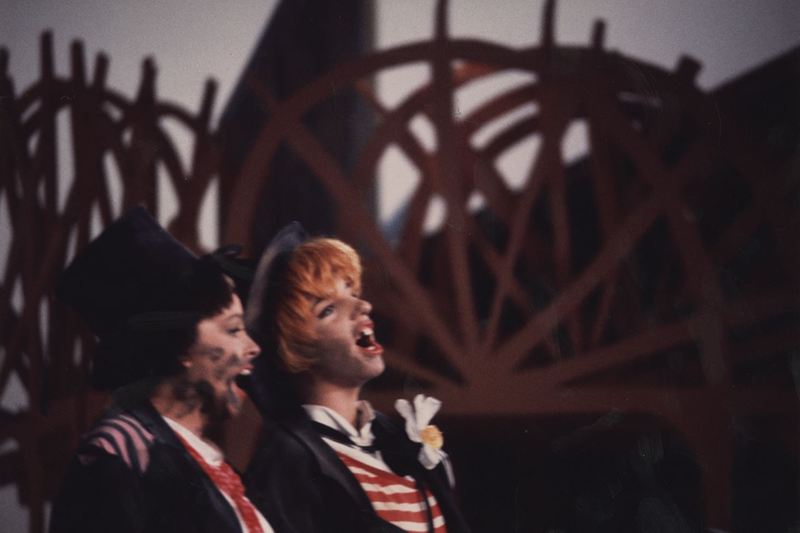 They were so impressed that they booked the sisters into one of their theaters the very next day (in Los Angeles). Photo: Judy and a friend in Lancaster in 1932. July 16, 1941: Babes on Broadway filming continued. On this day, the assistant director’s notes state: Miss Garland was called on today to rehearse dance at 2:30 p.m. – At 2:45 was sent to Miss Montclair for a French lesson – At 3 p.m.; reported to Eddie Larkin to rehearse “How About You?” routine; at 3:15 she said she had such a bad headache she could not continue – Went Home. 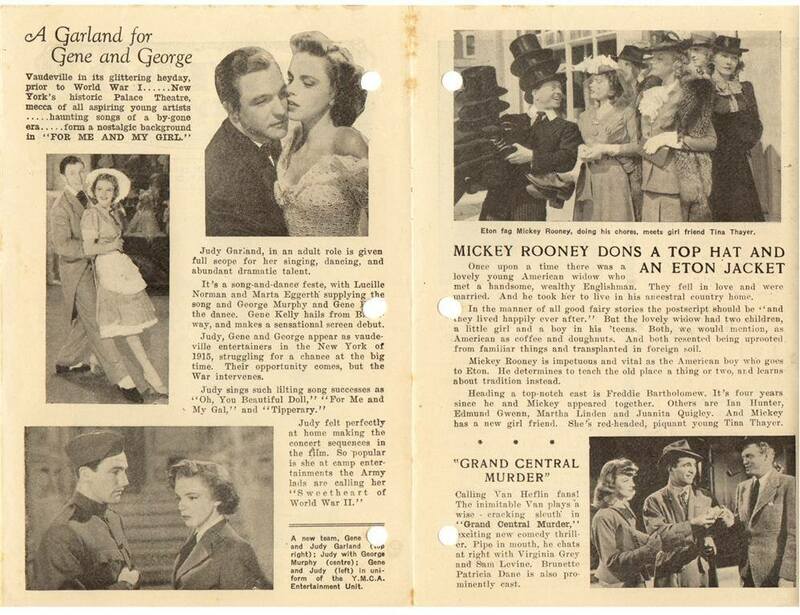 July 16, 1943: For Me And My Gal was featured in the “Metro News Flyer” published in Brisbane, Australia. 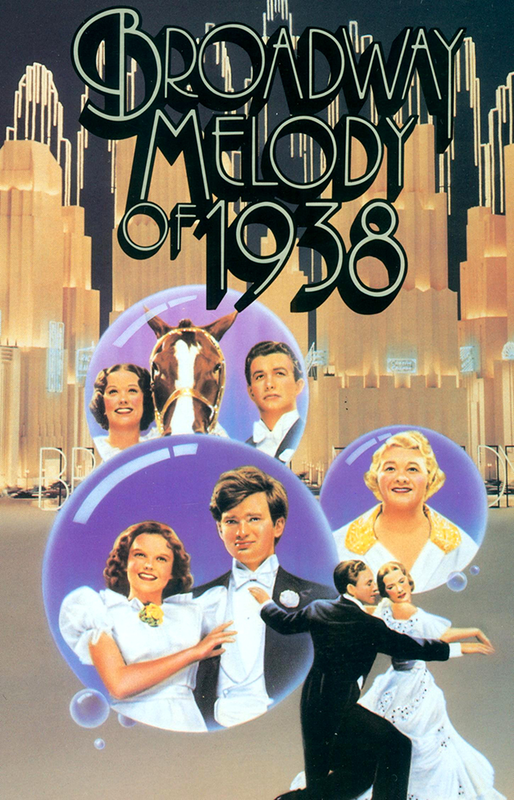 The film had been released in the U.S. in November of 1942 but was not released in Australia until 1943. 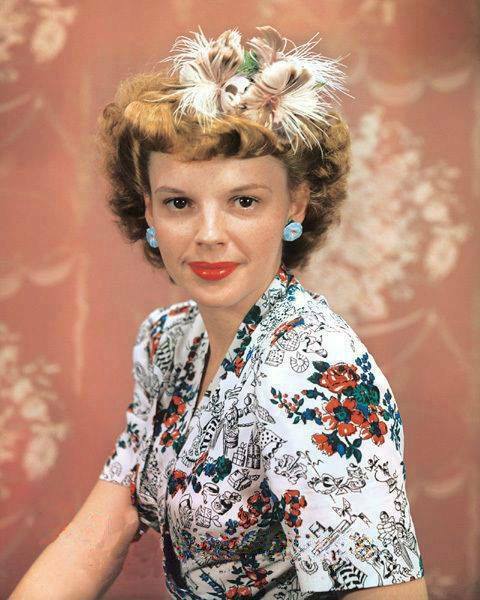 Also on July 16, 1943: Judy posed for color photographs for the New York Sunday News newspaper. 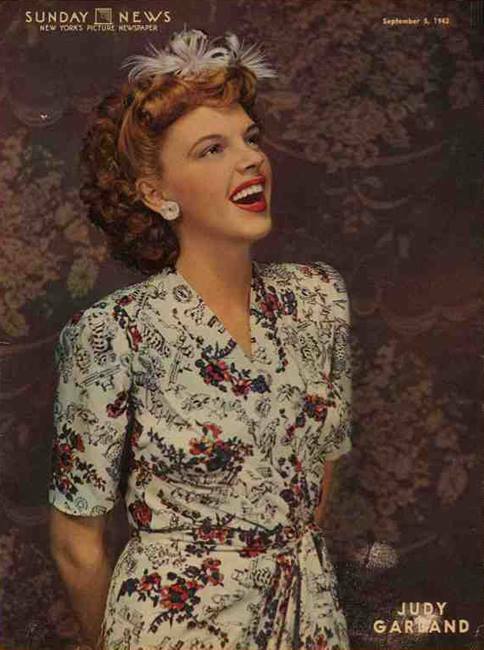 Her photo appeared on the cover on September 5, 1943 (shown here). 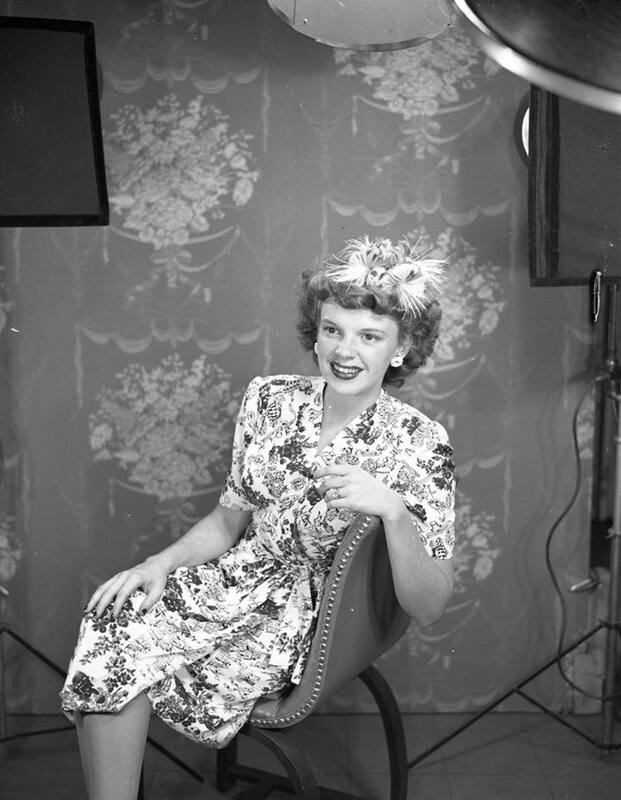 Judy was in New York as part of her second tour of Army camps entertaining the troops, traveling as part of the USO to camps in New York, New Jersey (including Fort Hancock), and Pennsylvania. 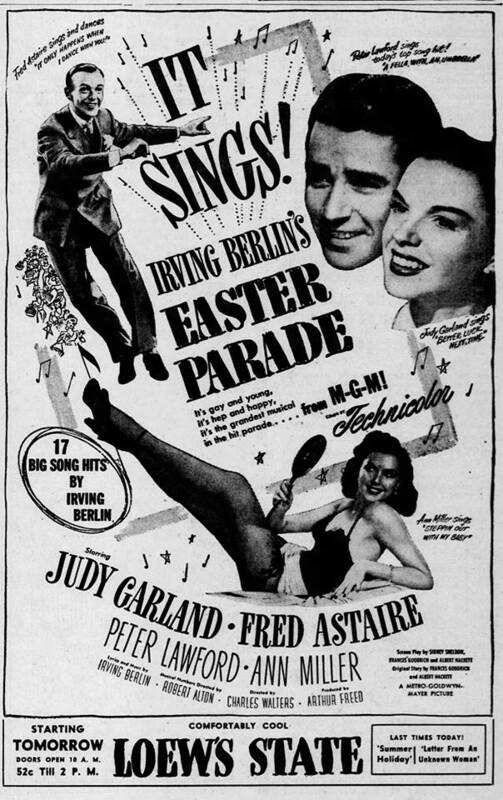 Judy was one of the first big stars to entertain the troops just after America entered World War Two, going on tour in January and February of 1942. 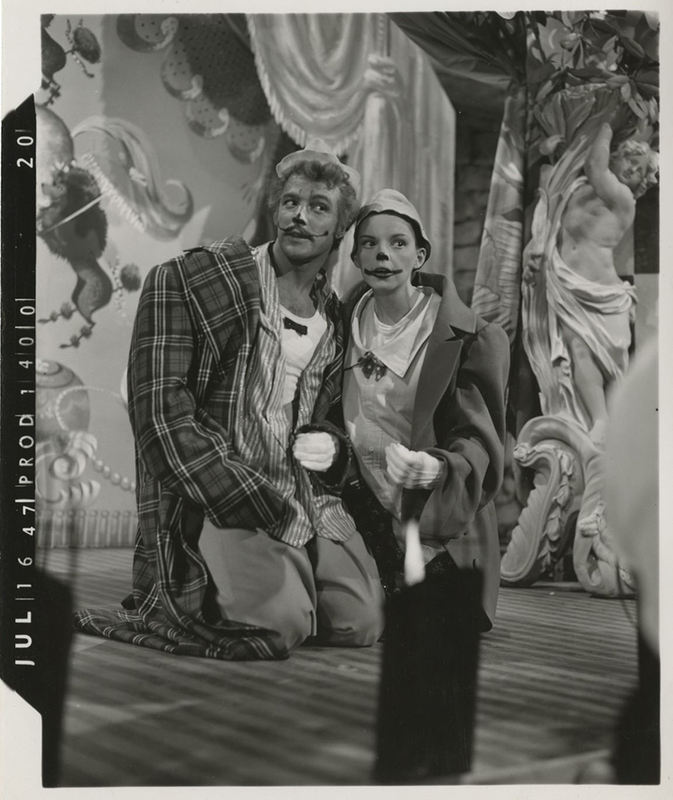 July 16, 1947: Judy’s last full day of filming on The Pirate was a marathon day. 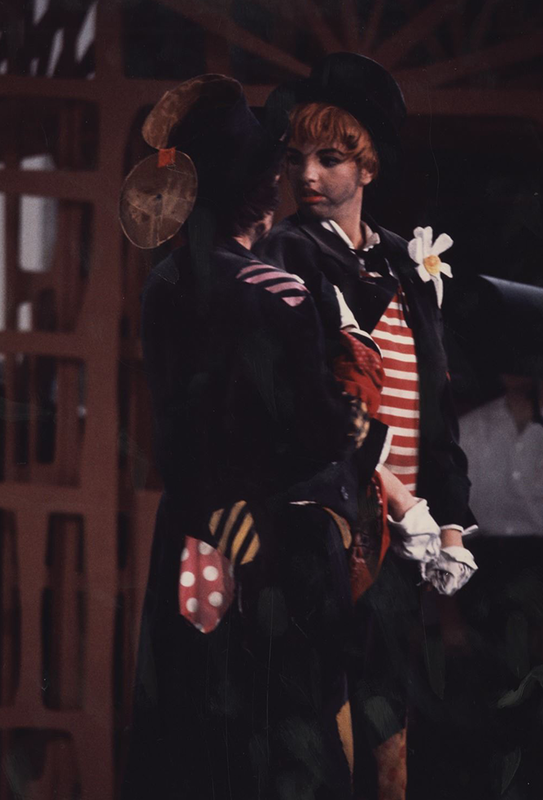 Judy was due on the set at 9:45 a.m., she arrived at 10:35 a.m.; dismissed: 6:05 p.m. Judy finished “Be A Clown” with Gene Kelly along with retakes and pickups on five other scenes; changing wardrobe, hairstyle, and makeup at least three times for more than twenty-five takes. There would be additional retakes on October 22nd through December 19th. The photo above of Judy and Gene Kelly was taken on this day. Also on July 16, 1947: Hedda Hopper’s column, dated July 15th, was published. Hopper relays the story of Judy’s recent nervous collapse. 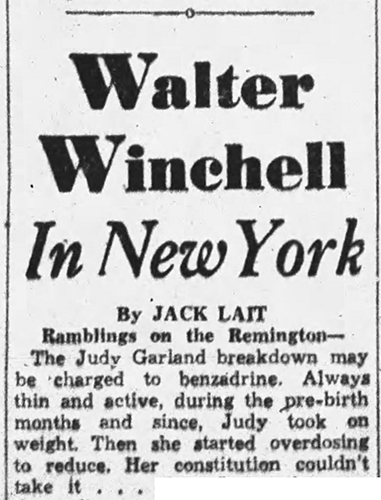 Walter Winchell’s column (written by Jack Lait) also mentioned the collapse and wisely mentions that it’s probably due to the effects of Benzedrine. The sequence of events apparently happened quickly. As noted above the day these columns appeared was the same as the final day of filming on The Pirate. Judy’s nervous collapse must have happened on one of the days prior to the days she was ill and unable to work on “Be A Clown” which in recent weeks was June 3th through July 3rd and July 7th. She was also out sick on July 11th & 12th, which are the most likely candidates as the columnists would have picked up the story quickly and those earlier dates are too early. 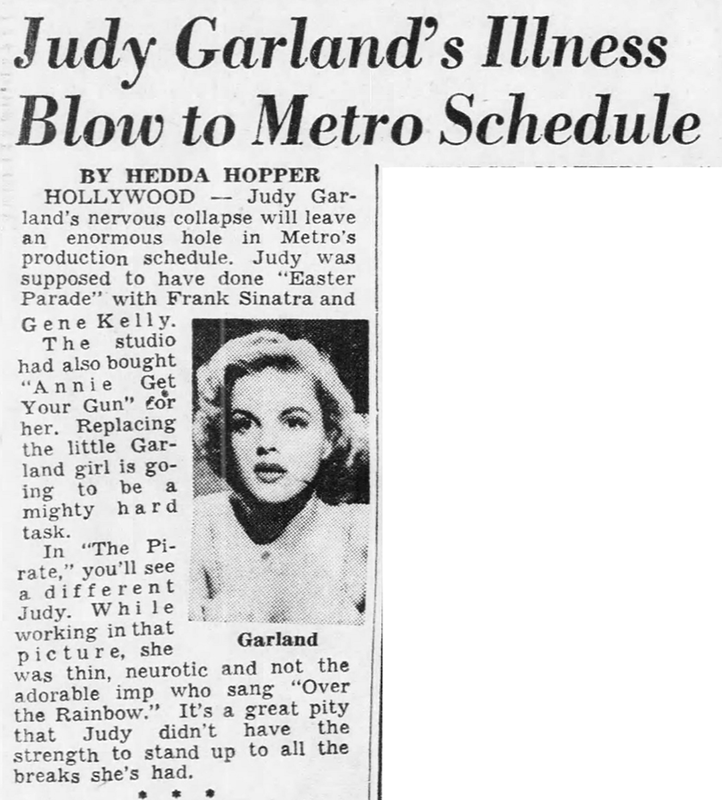 Judy bounced back enough to show up at the MGM commissary “two days after suffering from a nervous collapse” [per Hedda Hopper] for lunch with Frank Sinatra. 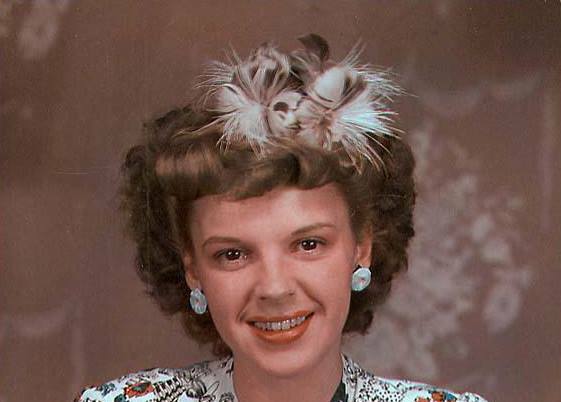 Sheilah Graham went into more detail: Judy Garland … replies, in answer to my question about her health: “You all say I’m dying. Okeh, I’m dying.” In the first place, no one has said this. Secondly, Judy does look ill. And she sounded hysterical. But after the above outburst, she joined Frank Sinatra for lunch, and seemed as gay as anything. The Hopper and Graham columns noted above appeared on July 21st. By this point, Judy had made an unpublicized suicide attempt and was sent to Las Campanas sanitarium in Compton, California. That happened on either the 17th or the 18th because she left on July 19th for the Austen Riggs Center in Stockbridge, Massachusetts. Judy returned to Los Angeles on August 20th. 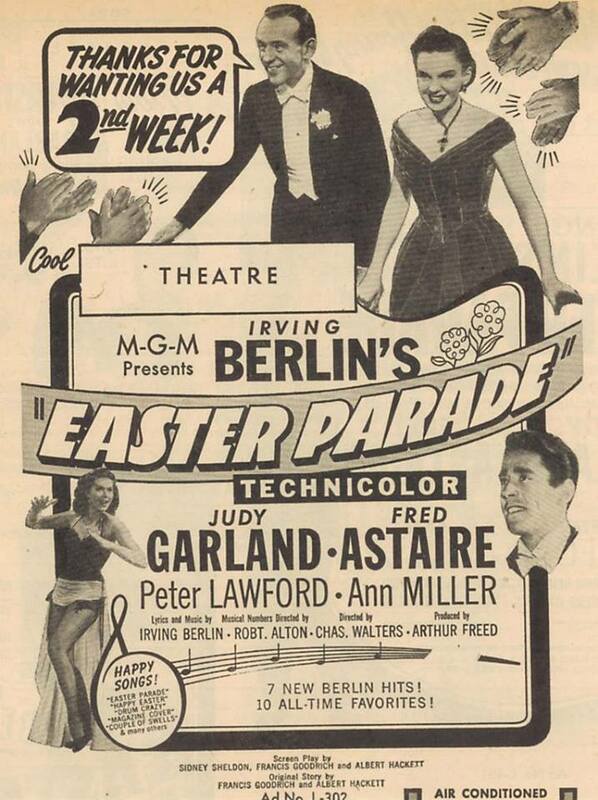 July 16, 1948: This is the dated listed as the official general release date for Easter Parade. 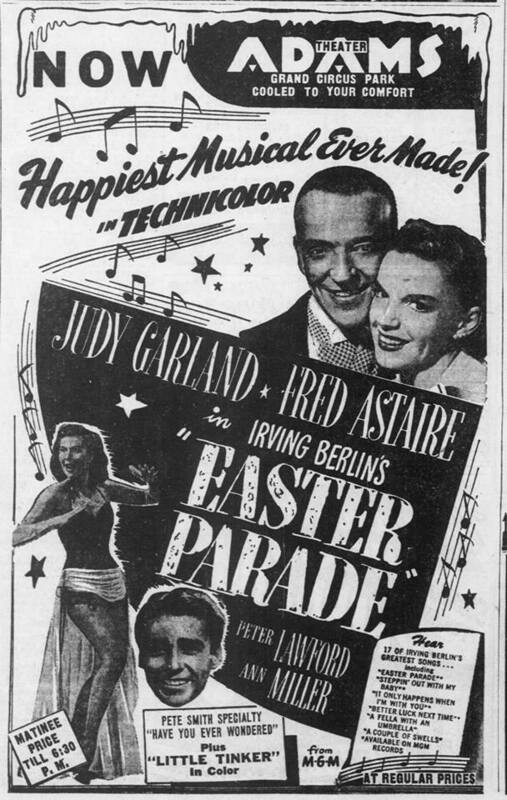 The film had premiered in New York on June 30, 1948. 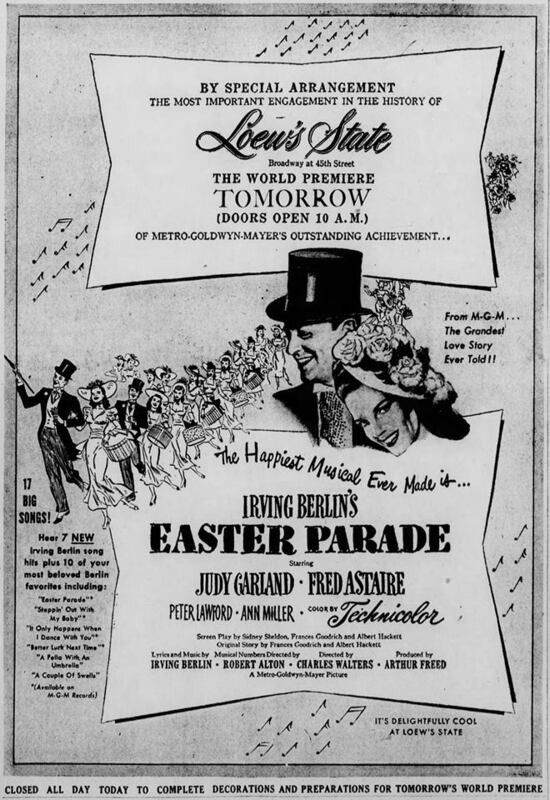 Easter Parade became Judy’s second highest grossing film, making over 6 million on an investment of $2,503,654 (which was actually under budget by $191,280). Only Meet Me In St. Louis grossed more, making over 7 million in its first release. 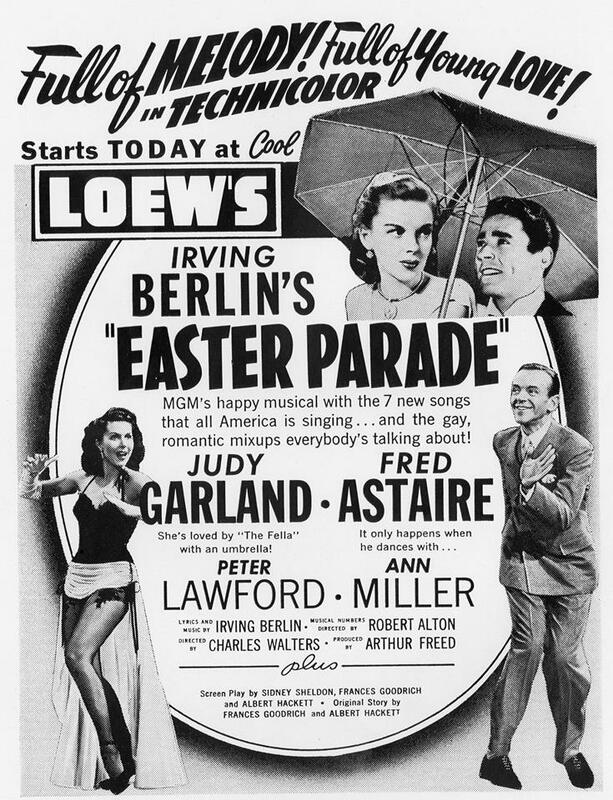 Today the film is a true classic and still has one of the most popular of Judy’s films, being one that even people who aren’t “into” classic films usually have seen thanks to the annual showings on TV around the Easter holiday. 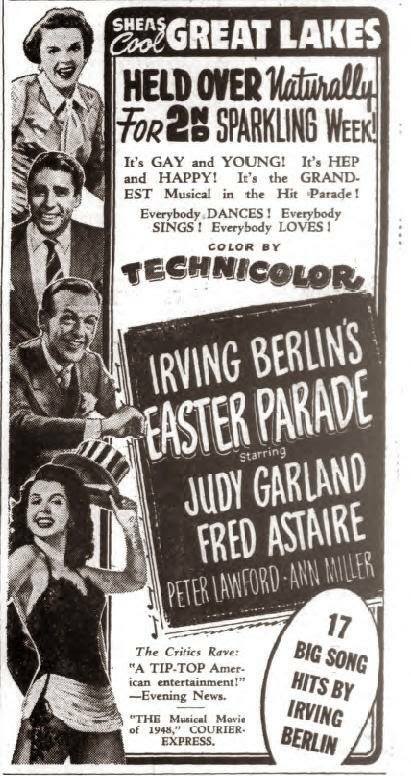 Of course, no mention of Easter Parade would be complete without giving a shout out to Judy’s co-stars Fred Astaire, Ann Miller, and Peter Lawford, as well as songwriter Irving Berlin and director Charles Walters. Everyone was brilliant! 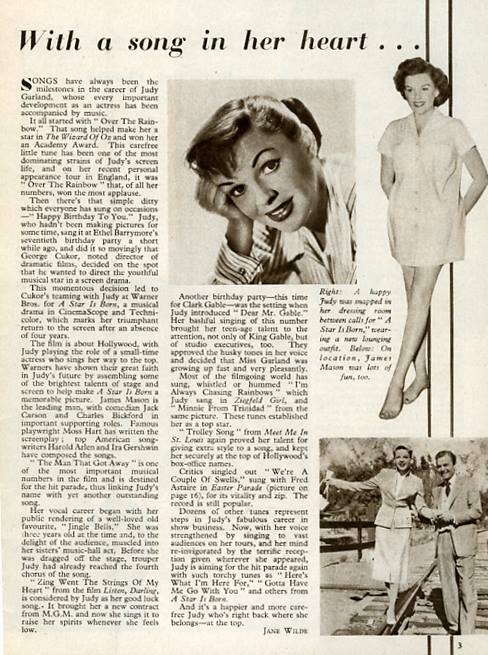 July 16, 1955: This article appeared in the UK “Picture Show” magazine, promoting A Star Is Born. 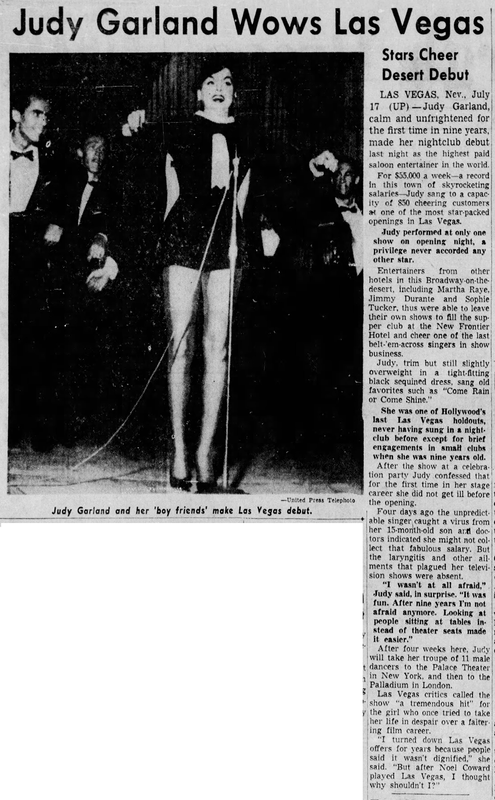 July 16, 1956: Judy opened at The New Frontier Hotel in Las Vegas. 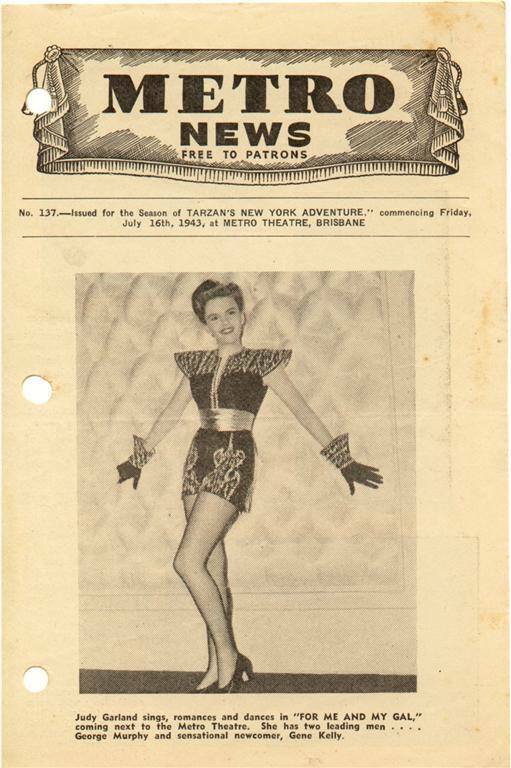 This was Judy’s nightclub debut and it was so successful that 7,000 people had to be turned away on the opening weekend resulting in the addition of a fifth week to the four weeks originally planned. 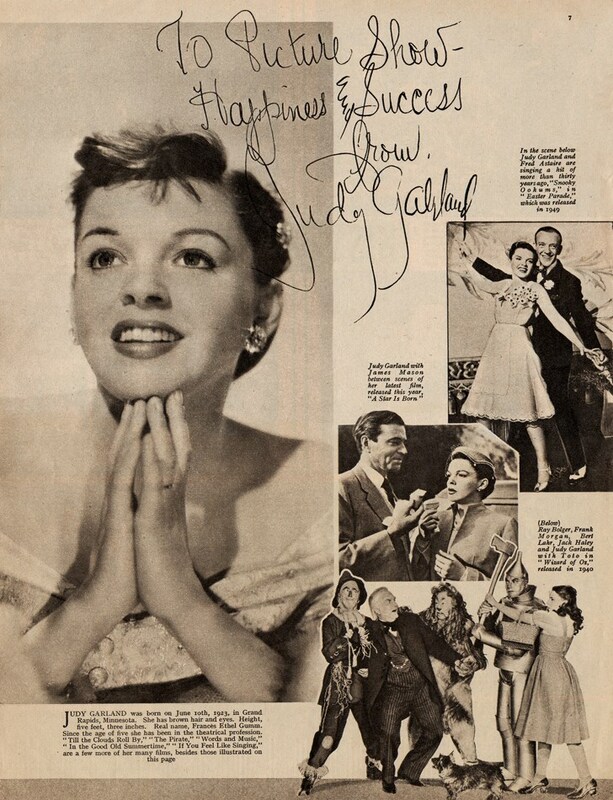 Judy earned a total of $275,000 and performed a total of seventy shows. 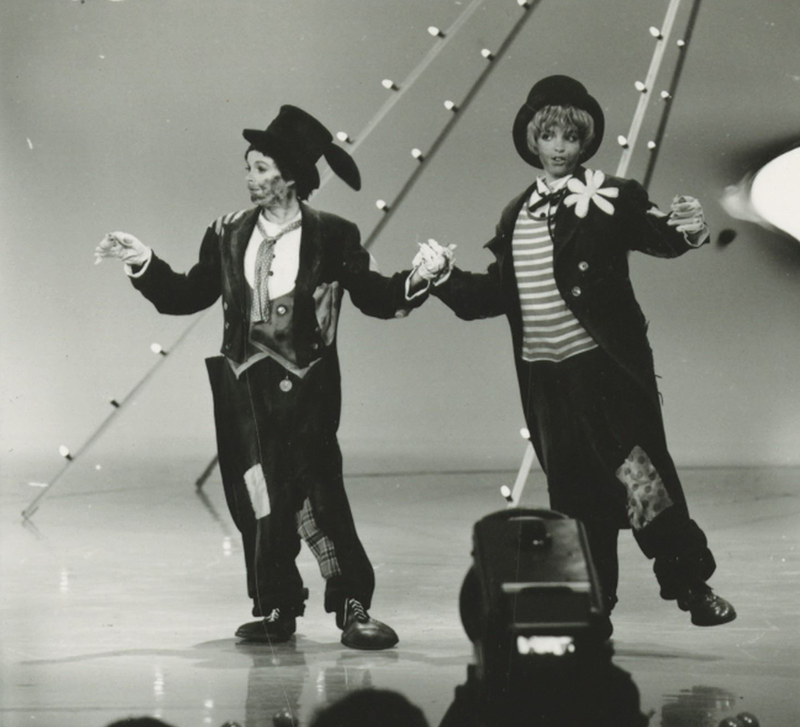 The two-show-a-night act lasted sixty-eight minutes and included two production numbers. The shows began and 7:30 p.m. and 12:30 a.m. respectively. 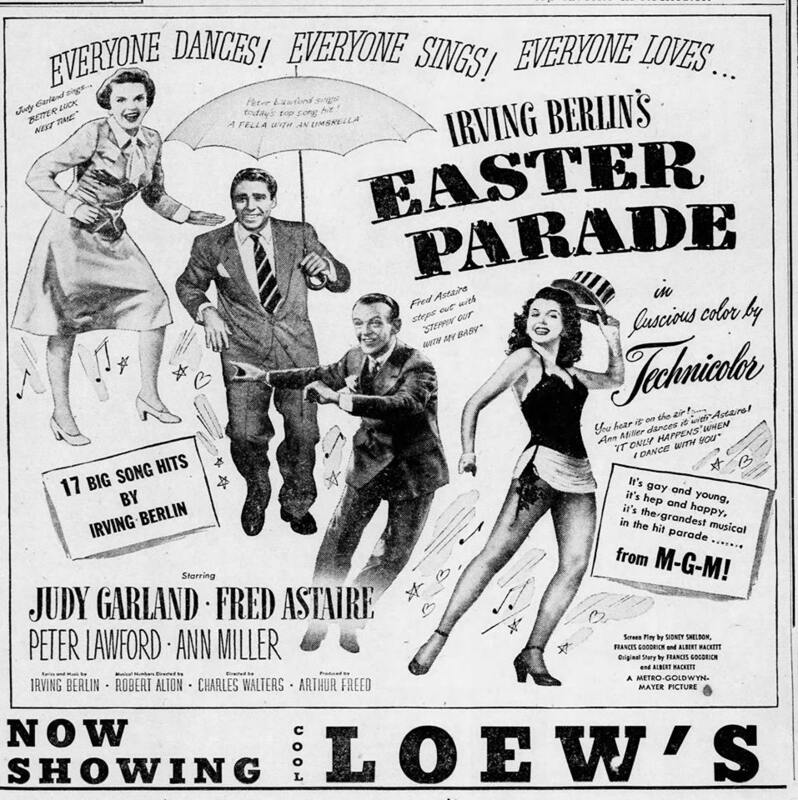 For the 2011 “Judy in New York” fan get-together, this video matching existing footage of Judy and her “Boyfriends” performing “Lucky Day” to the audio was created by Frank Labrador of Labrador Productions utilizing video and images from various collections and The Getty Images website (where most of the video fragments came from, with the timestamp blacked out). I’m sure you’ll agree that Labrador did a great job! 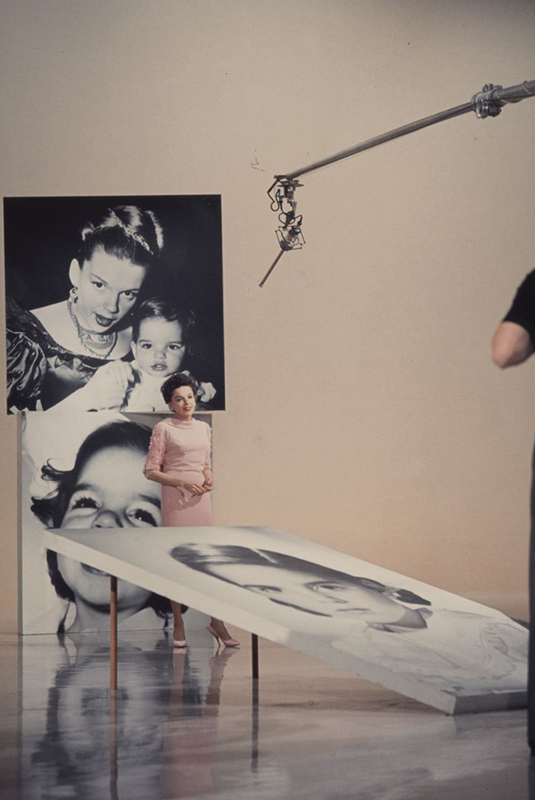 July 16, 1963: Videotaping of “Episode Three” of “The Judy Garland Show” at CBS Television City, Studio 43, Hollywood, California. Guests: Liza Minnelli, the Brothers Castro, and Soupy Sales; plus regular Jerry Van Dyke. 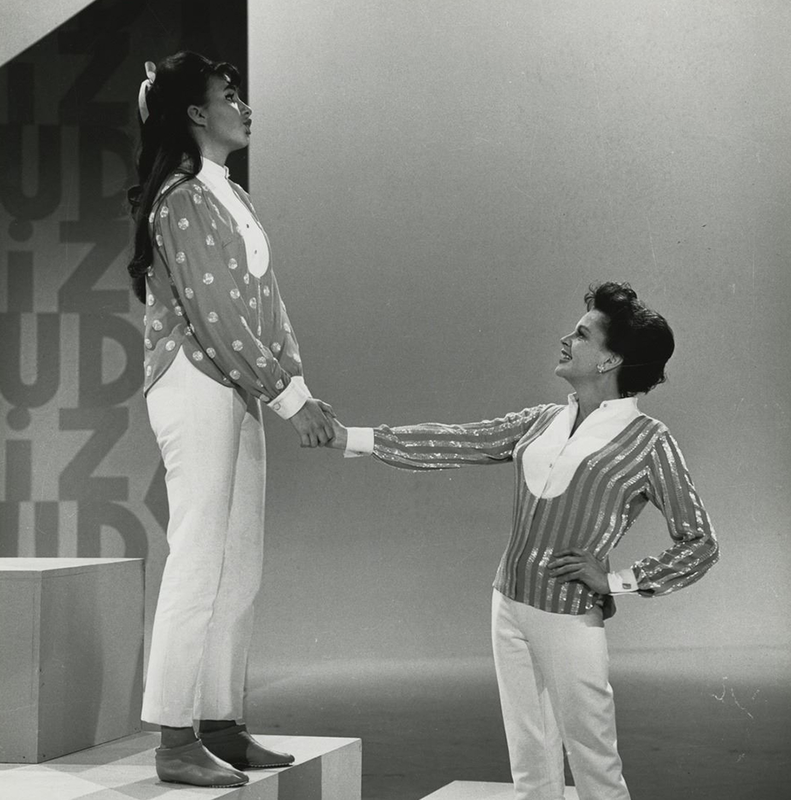 Judy sang: “Liza”; “Come Rain Or Come Shine”; “Together” (with Liza); A medley of “We Could Make Such Beautiful Music Together”/”The Best Is Yet To Come”/”Bye, By Baby”/”Bob White (Whatcha Gonna Swing Tonight)'”; “As Long As He Needs Me” (in the “Born In A Trunk” segment); and, as a closer, Judy and Liza singing “Two Lost Souls” followed by “I Will Come Back.” Judy also performed in a brief sketch with Soupy Sales. 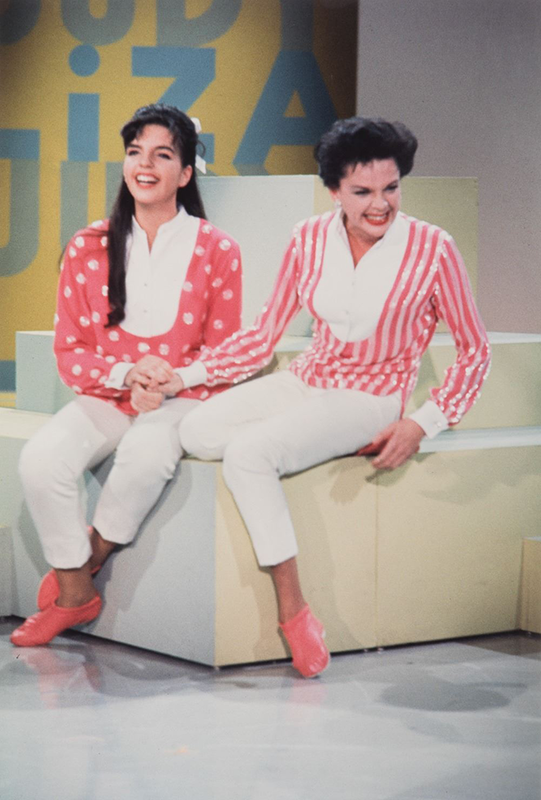 The show aired on November 17, 1963. Color photos above were taken by Roddy McDowell.